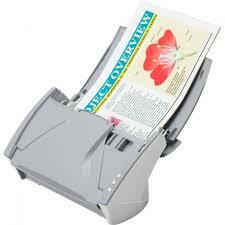 Canon CR-130 Scanner Easily integrate information into workflows with the Canon imageFORMULA DR-C130 document scanner. It reliably converts paper-based documents into high-quality digital images, and its compact footprint makes it ideal for any office environment. The DR-C130 scanner is ideal for use by individuals or small workgroups for distributed scanning of a variety of document types. It can be used to integrate information into digital workflows, for activities such as process automation and information distribution, improving efficiency and collaboration. Legal services, financial services, healthcare, government, and other industries can benefit from its use. Width: 2.0" - 8.5", Length: 2.1" - 14"